Dr. Kohan is a highly specialized otology/neurotology specialist with over 25 years experience in his medical field. 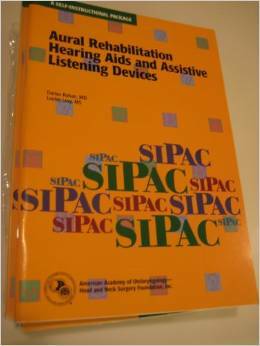 He is often cited and called upon to provide is expertise in the field of hearing loss and hearing related issues. Below are a short list of medical books/publications that were authored or co-authored by Dr. Kohan. To learn more about his books please Dr. Kohan’s author page on amazon. 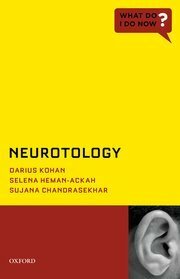 This text provides a concise yet comprehensive review of common neurologic disorders. The pathophysiology, presentation, diagnosis, and management of these entities is discussed in detail in a clear, easy to understand format. The focus is on patients presented with vertigo, disequilibrium, hearing loss, pulsatile and non-pulsatile tinnitus, facial nerve weakness, and complications of the otitis media. Vascular tumors and anomalies, trauma to the temporal bone, Meniere’s disease, as well as cerebellopontine lesions such as vestibular schwannoma and meningioma will be discussed with special emphasis on clinical applications. The appropriate diagnostic work up and treatment options as well as controversies will be discussed in the context of evidence-based medicine and “best practice” approach. Judicious use of MRI/CT scanning and audio-vestibular testing relevant for each pathology is discussed in detail. Appropriate illustrations and tables will summarize algorithms and protocols for managing these disorders making this text an easy-to-digest medical resource. A comprehensive reference list is provided. It can be found on Oxford University Press. Softcover Concise Review of the subject in short-chapter format by the American Academy of Otolaryngology-Head & Neck Surgery Foundation: Includes diagnosis, surgical step-by-step, & medical treatment in a short-chapter format with question & answer sections. Radiographic images high-quality. Great review for ENT or paraprofessionals. CME available. Great quick reference treatment guide. 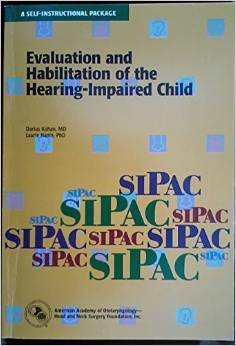 The book can be found on amazon.com and was original published by the American Academy of Otolaryngology Head & Neck Surgery; 1st edition (2000). Softcover Concise Review of the subject by the American Acadamy of Otolaryngology-Head & Neck Surgery Foundation: Includes diagnosis, surgical step-by-step, & medical treatment in a short-chapter format with question & answer sections. Radiographic images high-quality. Great review for ENT or paraprofessionals. CME available. Great quick reference treatment guide. This book can be found on amazon.com and was originally published by the American Academy of Otolaryngology, Head and Neck Surgery Foundation.